I got my first Glam Sense Box in the mail last week, but I couldn’t take any pictures of it since the lighting is TERRIBLE over here and the sun sets around 5pm these days. Here’s the Teeez Glam Sense Box! The Teeez Glam Sense Box had one item: the Read My Lips Lipstick in Roulette Red. It came in a sleek black tube with a small brochure with some simple instructions on how to complete the Glam Sense campaign. Basically, review, post on a social media platform with #teeezinGS, and email a link or a screenshot to info@glamsense.club by the date listed on the card! It’s so easy! So, how is Teeez’s Read My Lips Lipstick in Roulette Red? The lipstick is in a thin, plastic tube, which I was a little bit disappointed about. The graphic design is absolutely amazing, but I don’t like cheap plastic for higher end cosmetics! I’m always worried that the tube will crack or get crushed in my makeup bag or in my purse. However, the lid does lock pretty tightly on the tube, so that’s really good. I’m not sure if that’ll wear out in the future, though. I’m not a huge fan of matte lipsticks since they usually dry out my (already) dry lips, but I love super high, long lasting pigmentation! Right out of the tube, it looks like a dark red with some brown tones. I usually avoid darker reds like this because it kind of clashes with my skin tones and I just don’t have the right mojo to really pull of that kind of style. Otherwise, it’s a really great, dramatic shade of red! As you can see, it’s SUPER pigmented! It’s just 2 quick swipes of the lipstick on my hand and it’s so, so red! I tested it on my lips and I can tell you that it can easily last 8 hours of wear. I ate a big lunch with coffee and it didn’t budge at all! 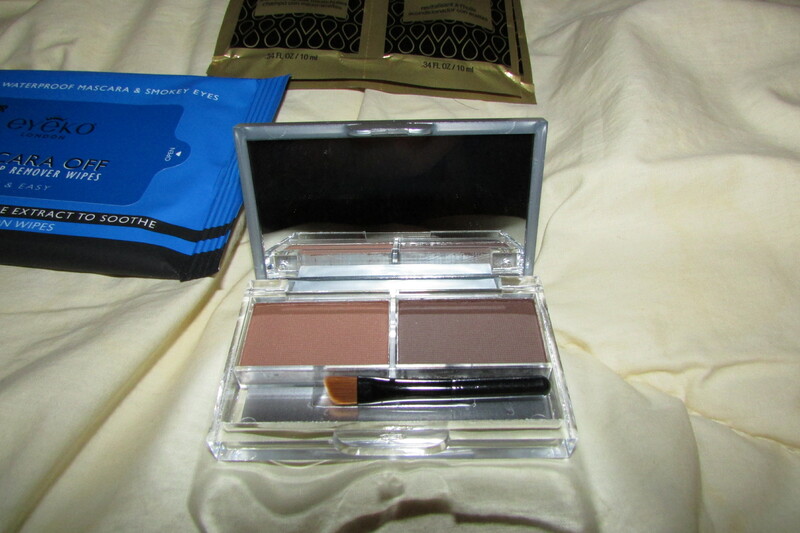 It’s also very silky and rich feeling without being very heavy, which is really amazing since it’s so pigmented. The only issue is that the lipstick is really soft. My mom twisted the tube the wrong way and the whole lipstick fell right out! Be careful of heat with this lippy! Final Verdict – I love how long lasting and moisturizing Teeez’s Read My Lips Lipstick is, but I wouldn’t keep it with me in a small purse or in a warm room. The artwork is gorgeous, but the packaging is so-so. I would have loved it a lot more if it was a different colour, but that’s just personal preference! At $22USD, it comes up to about $29.50CAD before shipping and taxes. 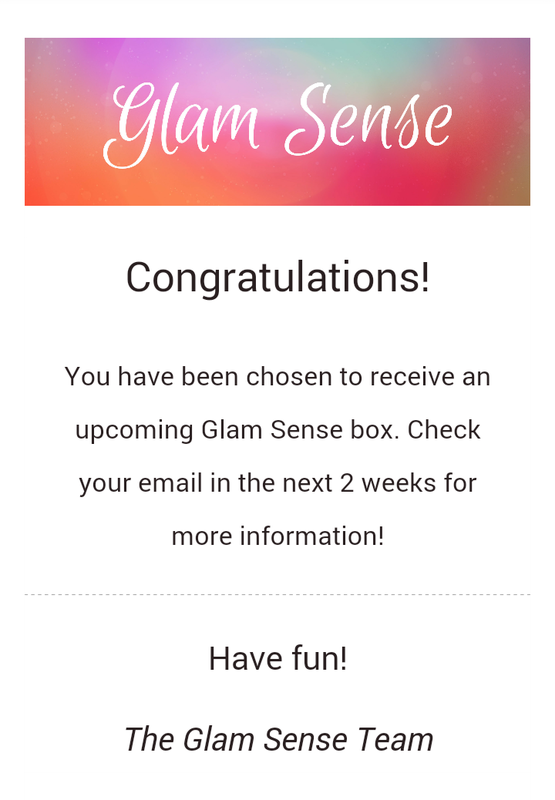 Did you get a Glam Sense Box yet? Would you get a Teeez Read My Lips Lipstick? Topbox sent out an email on the 26th with a notification about the box I’ll be getting! The Teeez Glam Sense Box! I’ve tried a few Teeez products before in a couple of Topboxes, so I’m excited to see what will be in the box for me to try. You’re getting the Teeez Glam Sense Box! Congratulations! We chose you for the Teeez Glam Sense Box. Get excited because this box is something special! Your box will ship out on December 1st. Once it has been shipped, a shipping notification email will be sent to you with your next steps. Please fill out the following address form by November 30th so we can successfully send you your box! There’s nothing like a little pampering, especially after a great run or really bad one. 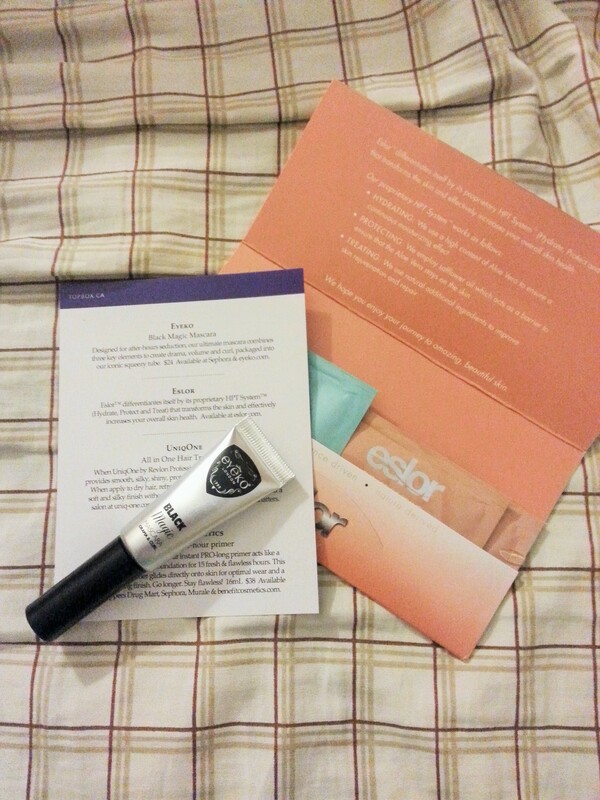 That’s why I signed up for Topbox’s new Glam Sense program! I just got a confirmation letter saying that I’ve been selected to get one with some new information coming in the next 2 weeks. It’s a brand new program from Topbox, so I’m not sure what exactly it’ll be, but I was defintiely interested enough to sign up when I got their first email. I’m really excited to see what will be in the box and what’s next! December’s Topbox was shipped early! It arrived at my doorstep on the 11th and totally caught me off guard when I got home! 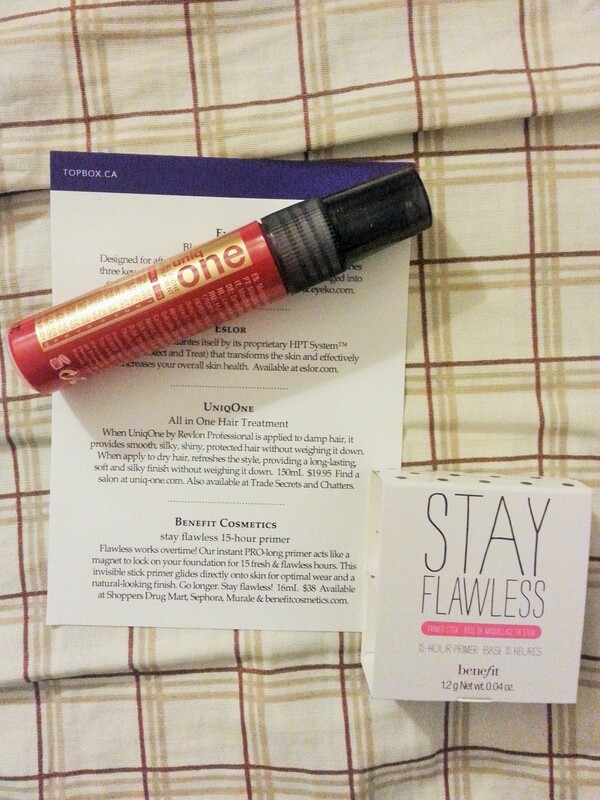 I wished for the Be A Bombshell prive box and I got it! 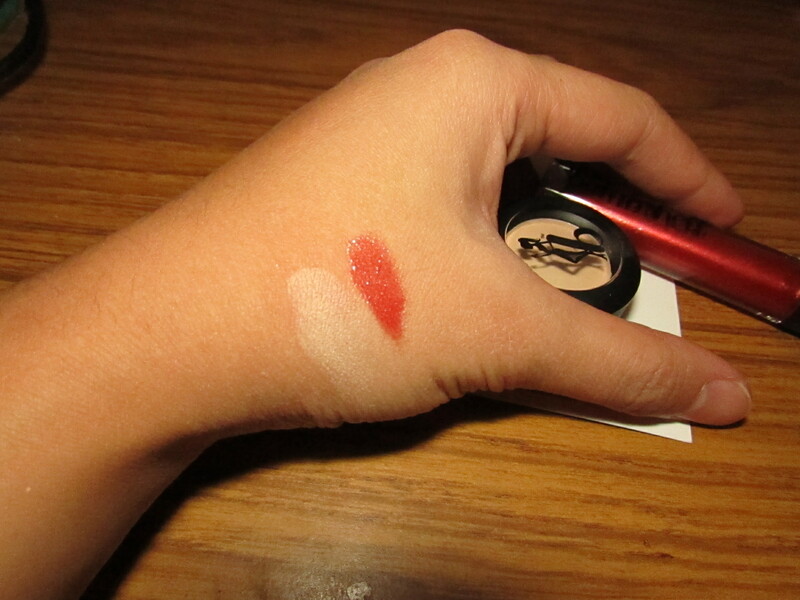 First, here’s a quick swatch of both products on my skin! I really like this lipgloss! It has a nice orange base tone on me even though it’s a cherry red in the tube. You can’t really see it in the picture, but it has some gold shimmer in it, too. It’s flattering for most occasions, even for evening wear! I’m not a fan of lipglosses because I don’t like their stickiness, but I really like this one! The pigmentation is really good and it’s not too sticky! It’s not the most flattering colour in the spectrum, but it’s meant to be a highlighter shade or used as a base to get a really vivid colour from other eyeshadows. I definitely can’t use this on its own just because it looks really, really unflattering on my tan skin! The eyeshadow itself is pretty nice, but it’s a tad dry. I’d say that it’s a product that needs a good primer or to be mixed with some moisturizer for a cream eyeshadow! 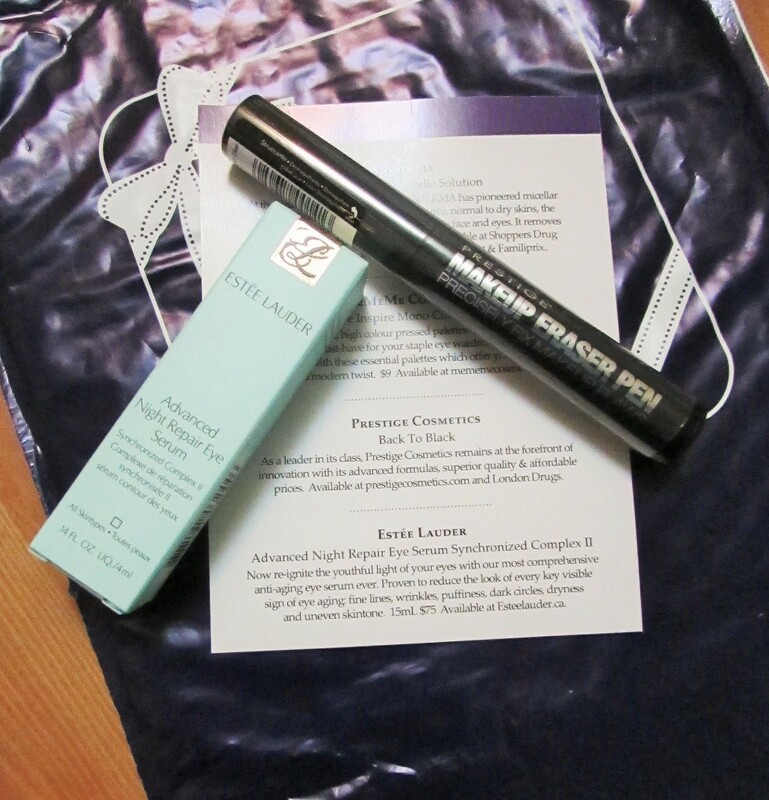 Verdict: 4.75/5 – What a great value in this month’s Topbox! I’m sure I’ll use up the lipgloss until it’s gone and the eyeshadow is going to be saved for special occasions. Together, they’re going to make an amazing addition to the holiday look! Okay, so I totally used the LouLou box without remembering to post on it. But, that means it was a really good box! I can’t believe it’s already November of 2014… It’s already cold and it feels like we JUST got over that snowstorm that encased the city in ice! 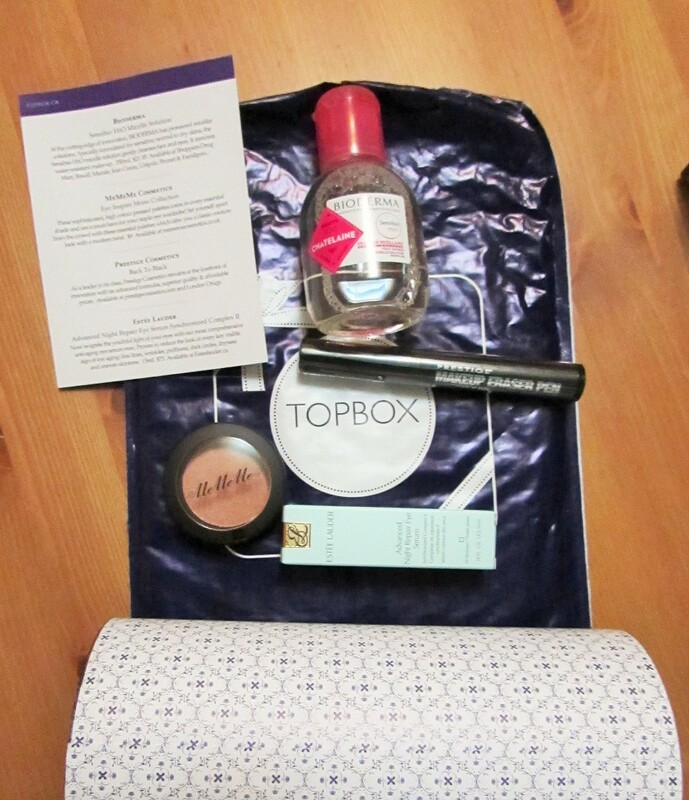 Luckily, there’s a new Topbox to cheer me up! I really do like getting the regular boxes. Even though they’re not always complete hits, I love getting a surprise in the mail! It also looks like I’ve temporarily misplaced my proper camera, so I’ve been using my phone lately… Hopefully, I find it soon! I don’t think this is the waterproof version, but I really like how it’s in a squeezy tube instead of the traditional hard plastic tube. It’s going to be so easy to use up all the mascara instead of having to dig around for everything! 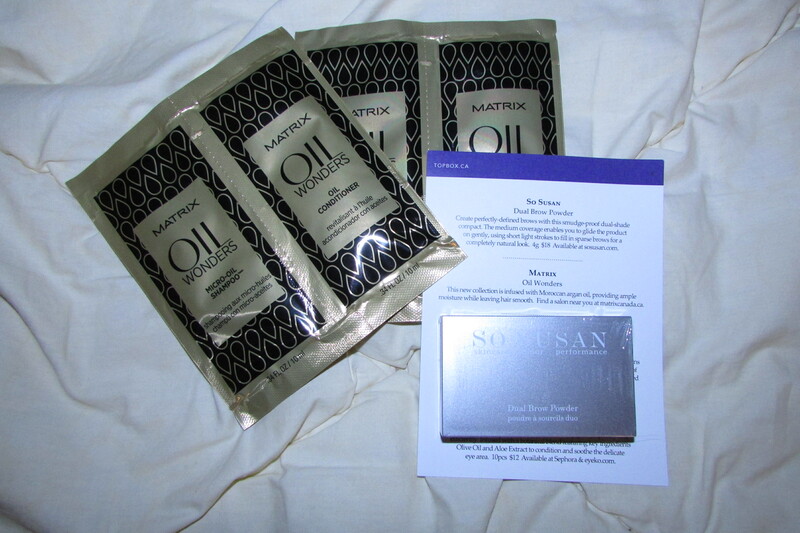 There were four different sachets in this deluxe sample from Eslor: Soothing Refiner & Cleanser, Chlorophyll Lifting Mask, Firming Collagen Day Cream, and Botanical Peeling Gel. In combination, they’re supposed to hydrate, protect and treat your skin to overall better skin health. The full sized versions are $38USD or over, so it’s unfortunately not likely for me to be buying them in any case. It’ll be fun to try, though! It’s a leave-in hair spray of sorts that helps increase shine and softness without weighing your hair down. I think I’ll probably end up trying this at least once. I’m not a big hair product user since my hair’s fairly limp and I’m also really lazy, but I’m curious to see if it’ll actually keep my hair up. 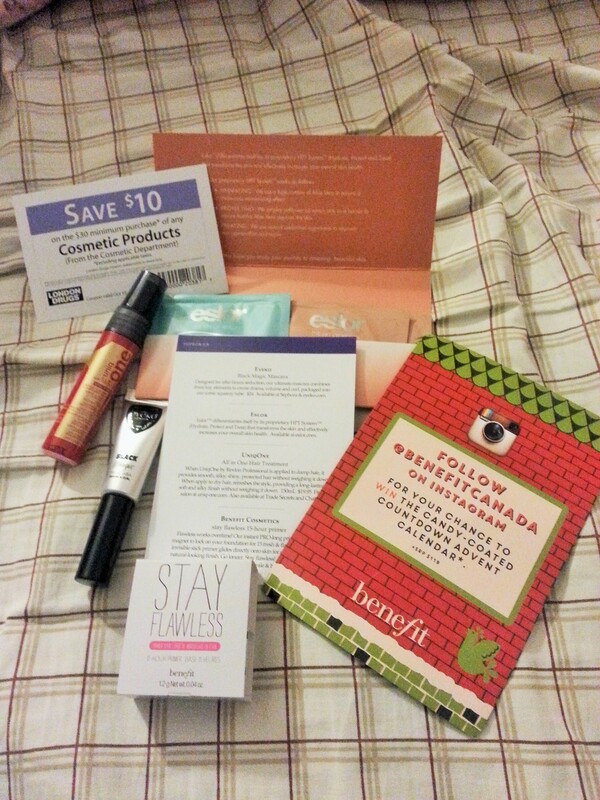 Yay, Benefit! I do love this brand. Their samples’ packaging is just as amazing as their full sized counterparts! Luckily, the Stay Flawless primer doesn’t leave any sort of residue on your skin and it really does blend flawlessly into your complexion. I was a bit worried since it looks rather light in the tube, but a quick swatch told me that it blends perfectly under foundation! 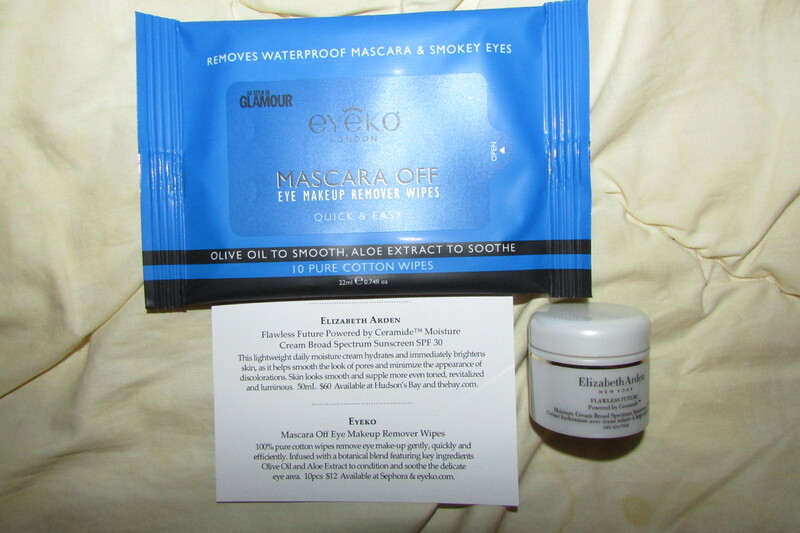 Verdict: 3.25/5 – Although I really like the Eyeko Mascara and the Benefit Stay Flawless primer, the Eslor skin system and the hair treatment just aren’t for me. It’s Topbox time! I was actually expecting my box this October since I remembered it was after Thanksgiving! What I didn’t remember was that I ordered the LouLou box and I completely forgot what was supposed to be in it. More on that in a separate post, though. Anyway, I got the original tube packaging but this month’s box looks pretty good again! I’m starting to really like Bioderma’s products. The sample of face cleanser I got from an earlier Topbox is now hiding at the Monsieur’s place and it works really well alternating with my usual face wash! Their micelle solution is absolutely legendary and I know so many people who swear by it as a makeup remover, mild cleanser and toner at the same time, so I’m super excited to try this! Mirage is actually a burnt bronze colour that’s deep enough for some light definition on a natural look or as a base colour to layer on a smokey eye. At first, I wasn’t sure what the product card was talking about and I actually thought that it was a misprint of some sort! The summary on the card was so vague that I wasn’t sure if I got the right product or not. To me, Back to Black is an eyeliner or a mascara of some sort. I’m not too sure if I’ll use this one since I’m trying not to use anything like serums or chemicals near my eyes. I might give it to my mom if she wants to use it since she likes to try things like this. However, I think that the sample size is very generous compared to the amount you’d get in a full size! 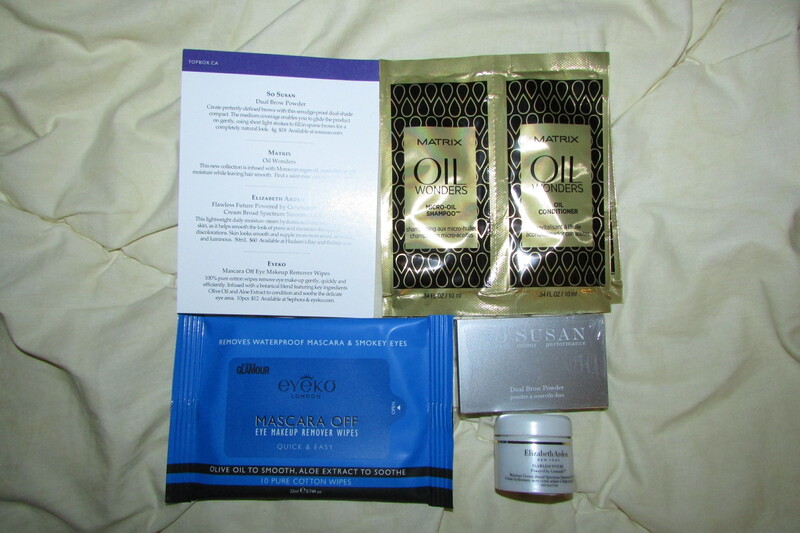 Verdict: 3.75/5 – I’m not going to use a couple of the items in the box but I do like how there’s full sized products from brands I’ve never heard of before! 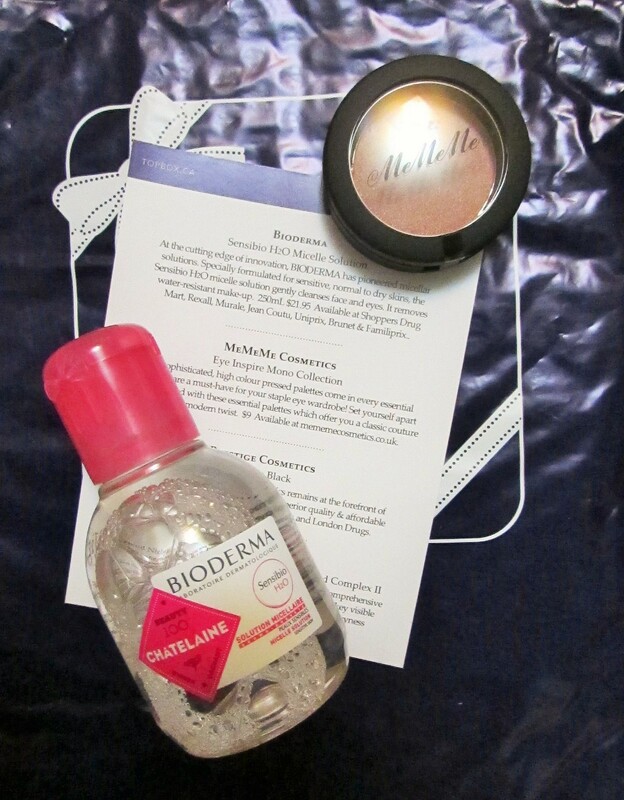 Plus, the Bioderma micelle solution and makeup eraser pen are GENIUS.